Chairs are just best in sitting furniture category and that makes the tired individuals relaxed instantly! The styles of chair vary according to their way of use and also according to indoor and outdoor environments! 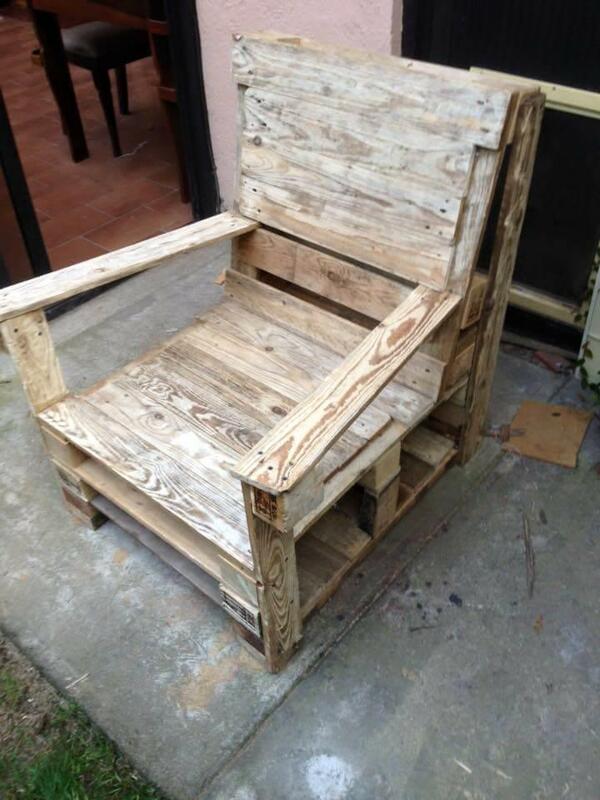 This time we are having this DIY pallet chair idea to share with your which would be equally functional to use inside or outside of your home! Chair design has been brought to completion by putting together different separated apart of pallet boards like dice sections and straight pallet planks! By stacking a set of separated pallet deck boards the berth section has been complete and then angled back rest has been installed by giving simple slatted arrangements to pallet planks! Some dice sections has been filled inside to let the back gain a tilted angle! Long wide armrest creates a cozy look and will also make the seated personal feel like a king for sure! 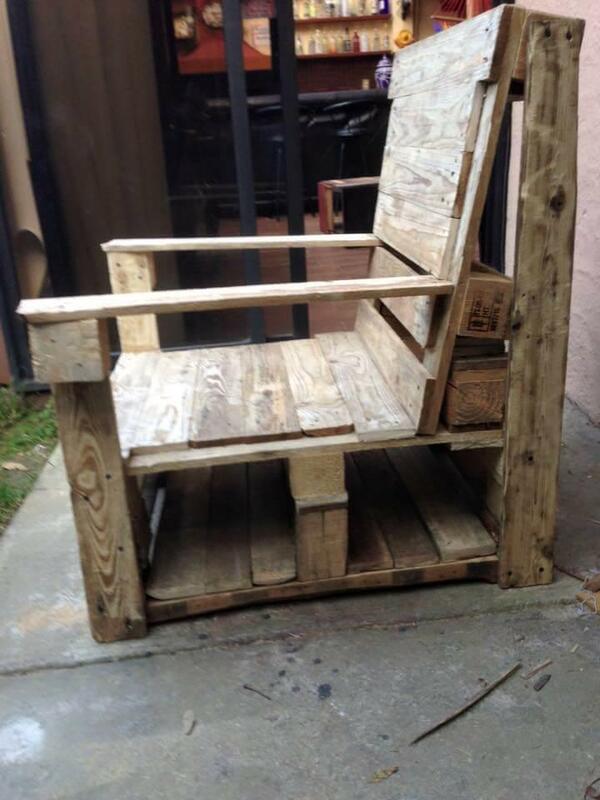 Chair would be rocking for indoor sitting and will be enchanting addition to front porch area! Just put your eyes on this rustic wooden beauty, a traditional styled wooden chairs with extra wide and large dimensions! Mature individuals can sit on it comfortably and hence can enjoy book reading and daydreaming in their free time! The super cool pallet chair design is here to make you feel like a ruling personality, angled backrest will really create a super comfortable sitting position! There are some openings underside just to gain some storage space! 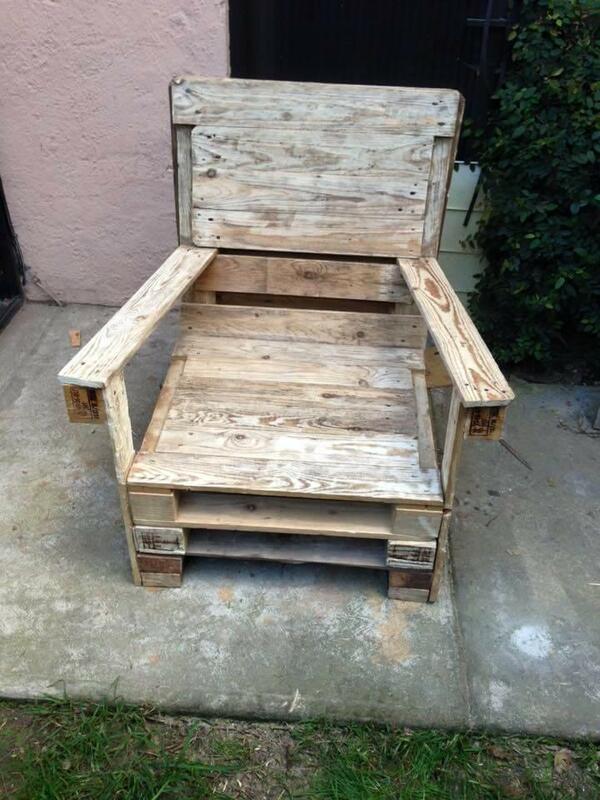 It is best ever layout of the chair from porch sitting and you can create a set for living room sitting! Personalize it by getting it painted or using some personal signs, logos and embellishments! No-cost wooden chairs is ready to make your day!